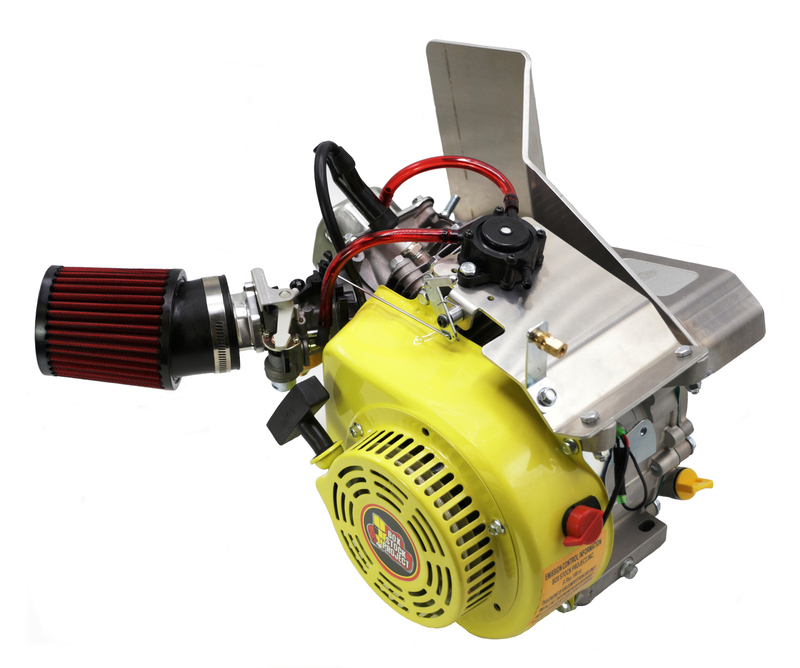 This is "Box Stock Project" yellow clone racing engine kit is an easy way to have an engine built to compete on race day. This kit comes un-assembled. The "Box Stock Project" yellow clone engine is a standard for the following Box Stock, Builder's Prepared, Superbox, or Outlaw clone classes. Cast iron flywheels are no longer included with our engines, this kit comes with flywheel (aluminum). This engine is for racing purposes only and will require other parts to complete. Does NOT have an RPM governor, low oil sensor, airbox, or muffler. Picture represents how the engine will look after you build it. NEW BSP-4 Box Stock Project heat treated racing cam included in kit. This engine has not been Blueprinted. The legality and building of this kit is the responsibility of the end user. Q: I want to order i have a clutch, fuel tank and mount. Can you tell me what else I need to include to have my minibke running? A: You would still need an exhaust. Q: What all do I need to put on for this engine to be ready or do I have to build it ? A: What you receive is a BSP-2 Box Stock engine with a racing cam pre-installed, but all the other racing components require you to install them. Including: Billet aluminum flywheel, Top plate/throttle hookup, Billet air filter adaptor, Choke hold, Fuel pump, Pulse inlet fitting, Angled air filter, 5' fuel hose, Chain guard/heat shield. You will also need to add an exhaust and clutch, neither of these are included in the kit. Q: In what state of dis-assembly does this engine come in? How much assembly is needed? What is the maximum rpm? It the mounting bolt pattern similar to that of a predator 212cc engine? Does it need anything besides a gas tank to run? A: What you receive is a BSP-2 Box Stock engine with a racing cam pre-installed, but all the other racing components require you to install them. 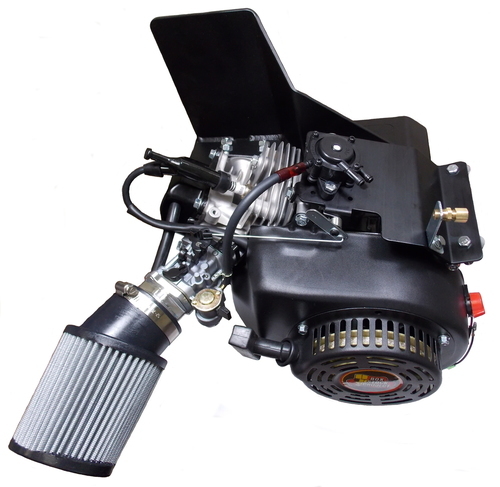 Including: Billet aluminum flywheel, Top plate/throttle hookup, Billet air filter adapter, Choke hold, Fuel pump, Pulse inlet fitting, Angled air filter, 5' fuel hose, Chain guard/heat shield. Other than fuel tank you will also need to add an exhaust and clutch, neither of these are included in the kit. Q: What connecting rod does this engine come with?